With 1.2 seconds left in the regulation, USC Women of Troy (6-2) McKenzie Calvert converted a three point that would make the score against the Matadors (6-2) even at 65. CSUN hoisted a final prayer but it wasn’t enough to keep the game from overtime and a destined Women of Troy victory at the Galen Center. 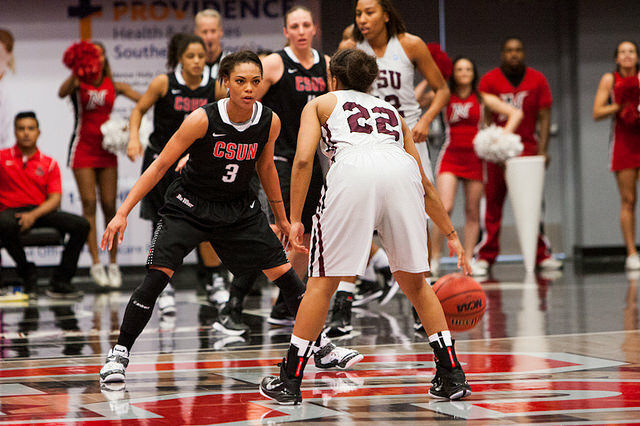 CSUN ran out of fuel in the overtime, scoring only nine points to the Women of Troy’s twenty. 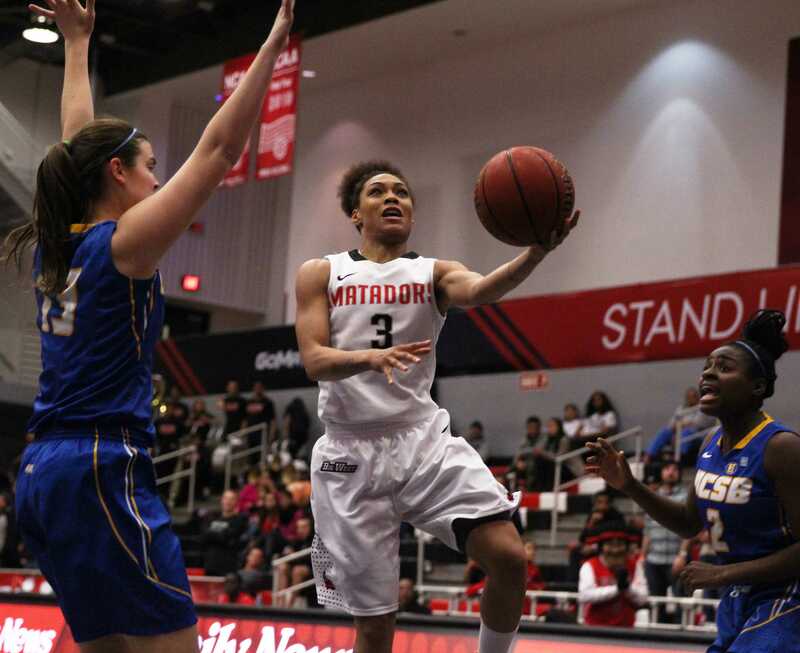 The Matadors were only down six with less than a minute in overtime before USC stretched the lead off of a few CSUN turnovers, making the conclusion 85-74. The Matadors held a four point lead with only a minute remaining in regulation after a 6-3 run. Before that, CSUN trailed by as much as seven when they went on a 10-2 run as they took a 59-58 lead with just under five minutes to play. There quickness in the back-court was the difference in the second half as senior guards Cinnamon Lister, Janae Sharpe, and Ashley Guay all got good looks in the lane. Guay added four assists to her 19 points including some easy finds of senior center Camille Mahlknecht near the rim in overtime. The Matadors trailed 30-41 entering the second half. A few of Sharpe’s 19 points were huge buckets for CSUN including the first four points of the half. Defensively the Matadors held USC to 37.5 which helped them gain ground in the second half. However, USC proved to be too physical by winning extra possessions through the rebound battle with 10 more boards than CSUN over the whole game. The Women of Troy started the game hot with an 11-8 lead. 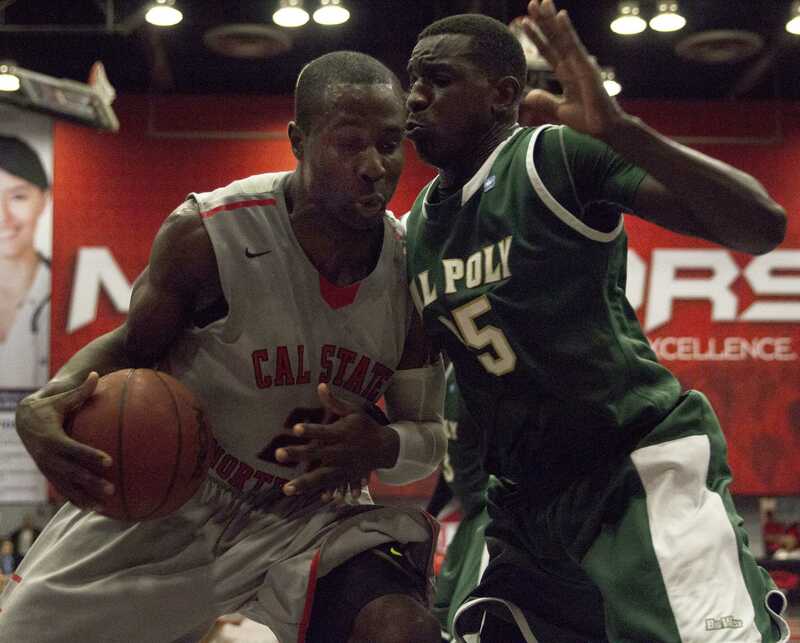 Then they capitalized on a slow CSUN start with a 13-2 run making the game 24-10. 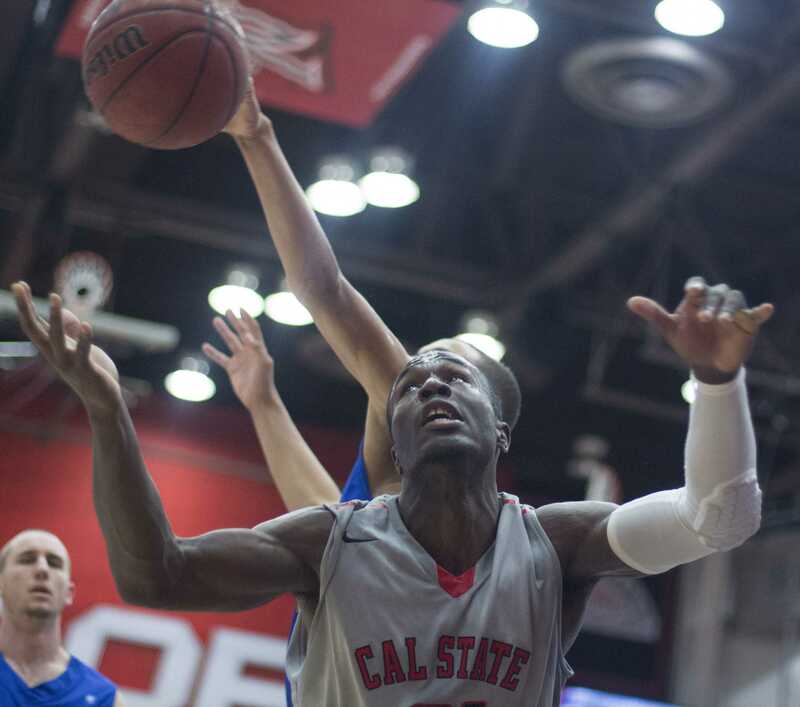 CSUN faced a deficit as high as 17 in the first half. 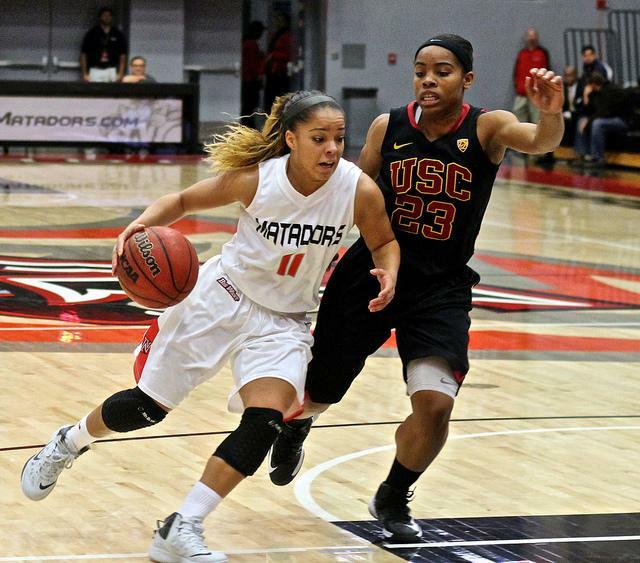 Three Matadors played more than 35 minutes against the Women of Troy. Guay lead in playing action with 43 minutes. Freshman Tess Bogani lead reserves with 32 minutes off the pine. Outside of her only junior Jasmine Johnson and freshman Katelin King logged more than ten minutes in the overtime bout. 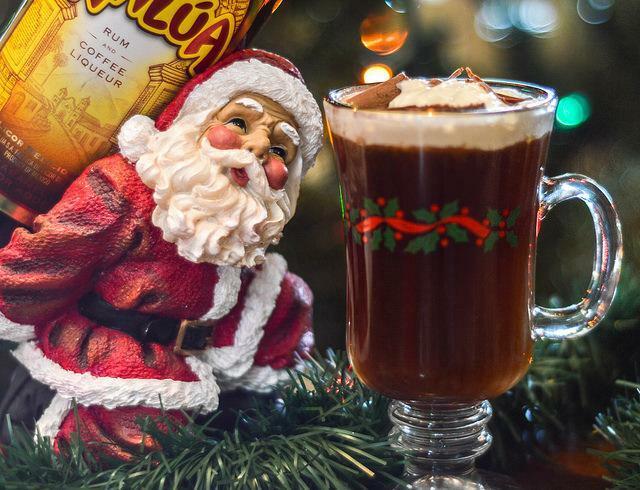 Get in the spirit for holiday spirits!